Welcome to my holiday home. If you follow me, then this is likely just an overview of what you've already seen. If not, click the links for more details. If you're new, welcome and please say hello and let me know you're visiting. If you like what you see, won't you follow me? 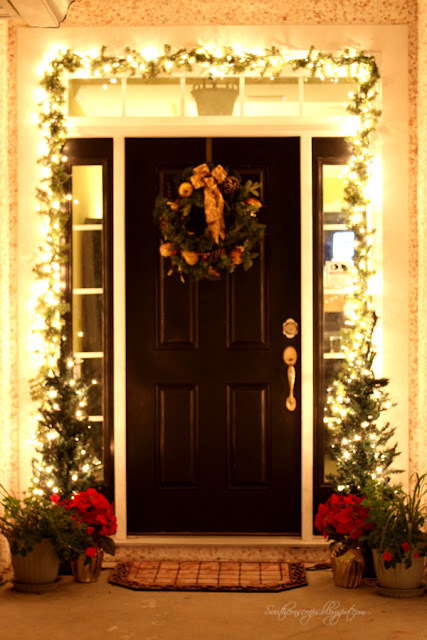 Let's begin at the front door. 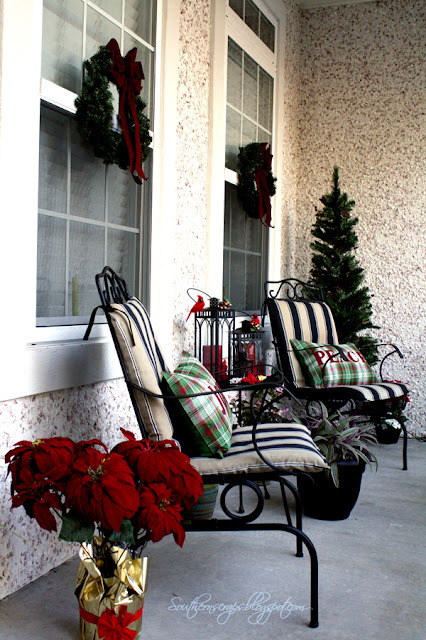 Before we head in, we might want to enjoy the front porch and the no sew Christmas pillows. 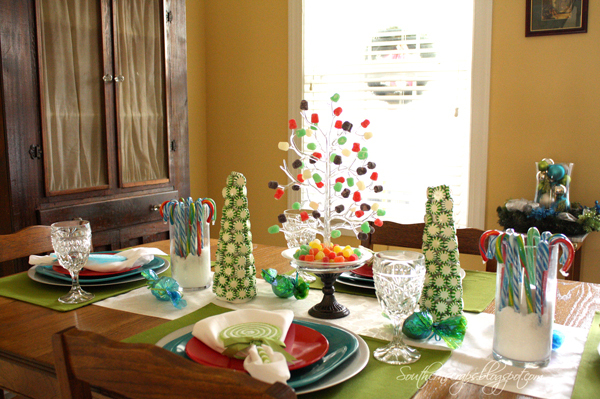 Once inside, we'll enjoy a meal at my table set in a Christmas candy tablescape. 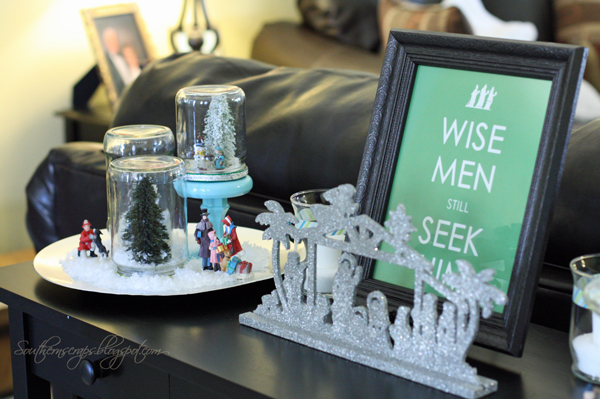 When we're ready to move to the living room for a visit, we'll pass by a Christmas vignette with a reminder of what's this is all about. From the living room we can enjoy the blue and green tree and mantel. 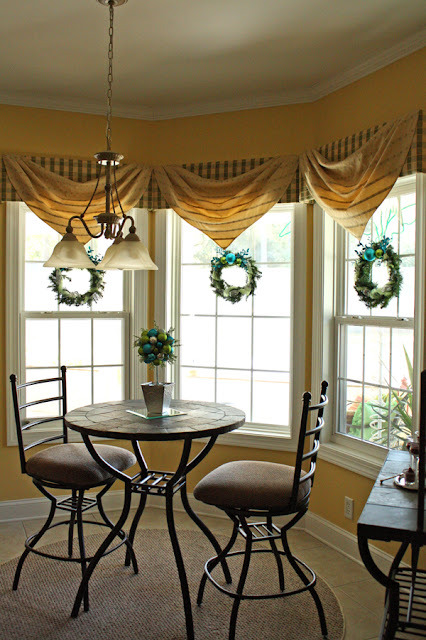 Before you go, maybe you'd like a cup of coffee in the morning room. 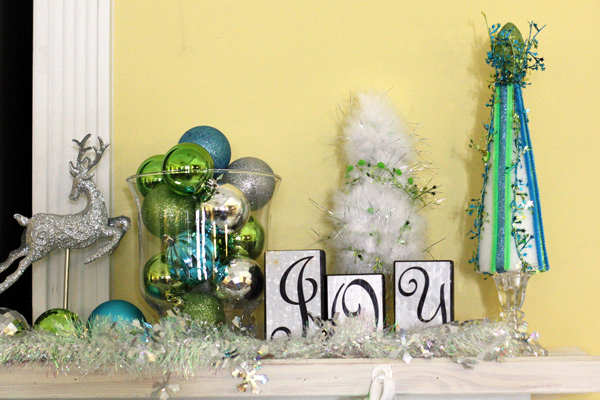 It got some treatment for the first time this year with the wreaths and ornament topiary. 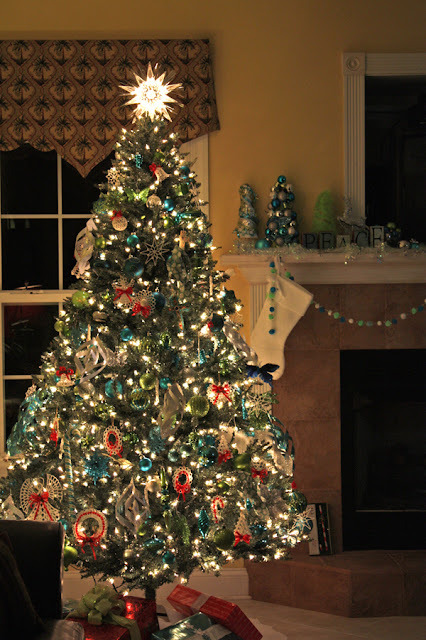 Your Christmas tree is amazingly gorgeous!! 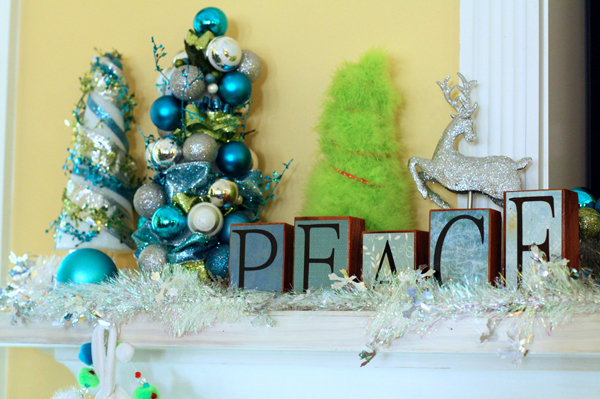 Been a follower for awhile now and.loving your blog!! 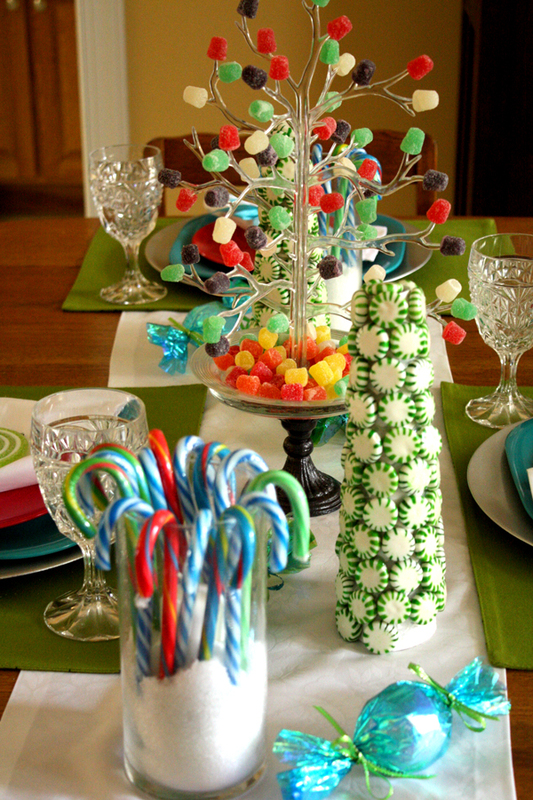 that candy decorated table just makes me so happy- love it! your tree is absolutely magical ... and the candy table makes me happy too ... Merry Christmas!